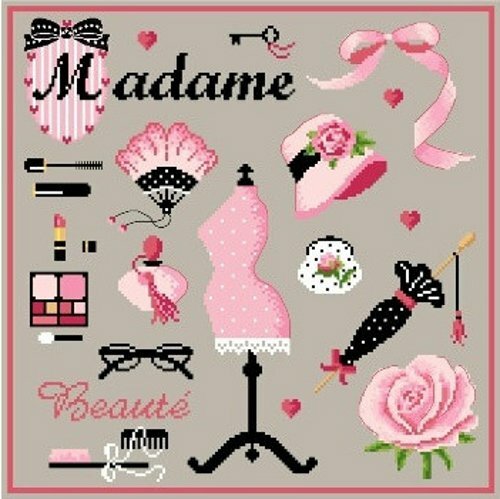 "Madame" is a cross-stitch chart with instructions translated in English. This patterns show 16 colours (DMC references on the key). Recommended Fabric: 14 count Aida (or 28 count evenweave or linen), colour "Natural Linen" 50x50 cm (20x20 in).